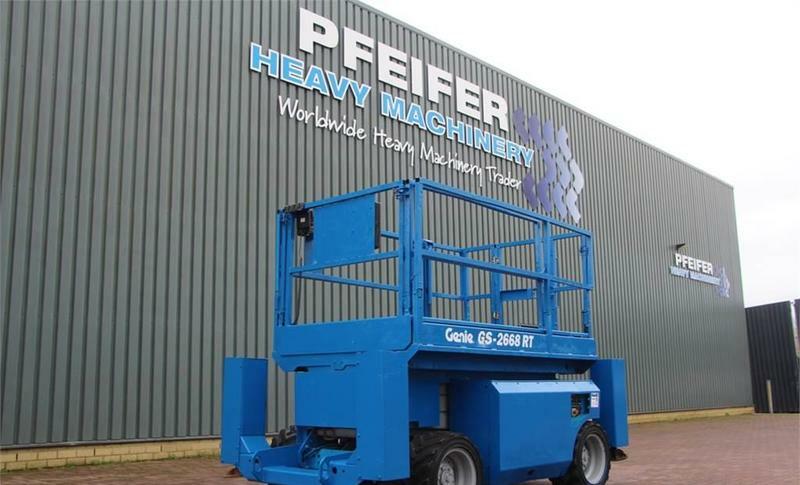 The list of GENIE GS2668RT scissor lift offered for sale in our catalog is constantly increased. Gross Vehicle Weight: 3455 kg. Wheel formula and suspension type: front tires: 40 %, rear tires: 40 %, tires: Outrigger.